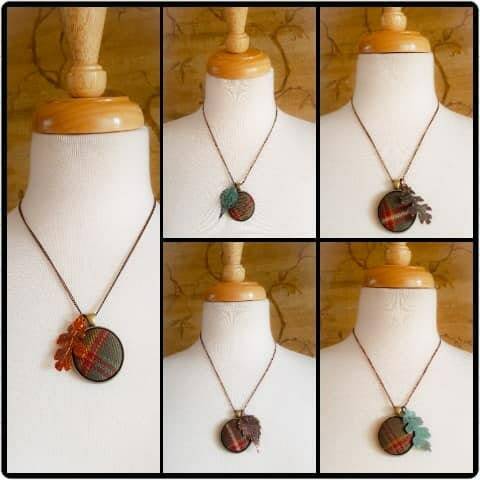 Limited and exclusive collection of Flodden Commemorative Tartan Pendants, "Flowers of the Forest". 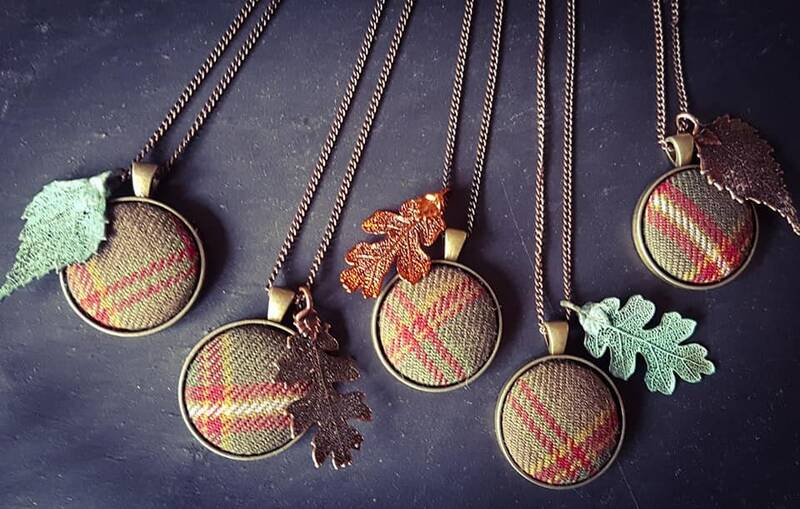 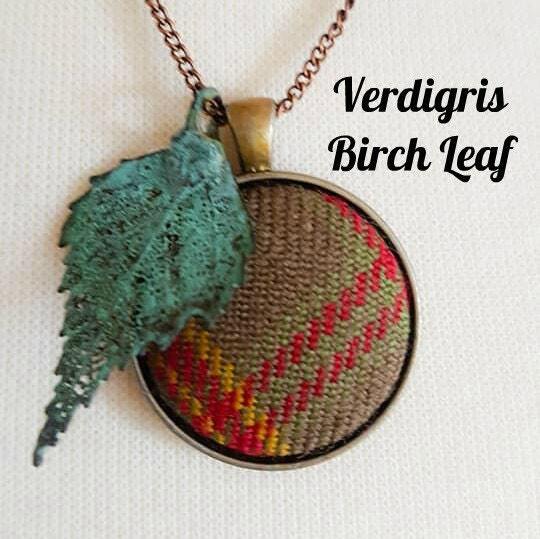 These unique charm necklaces combine a handmade Flodden tartan cabouchon, fitted into antiqued brass pendant fittings, each paired with a real skeleton leaf with has been precious metal coated (copper pleated or bronze plated ) . 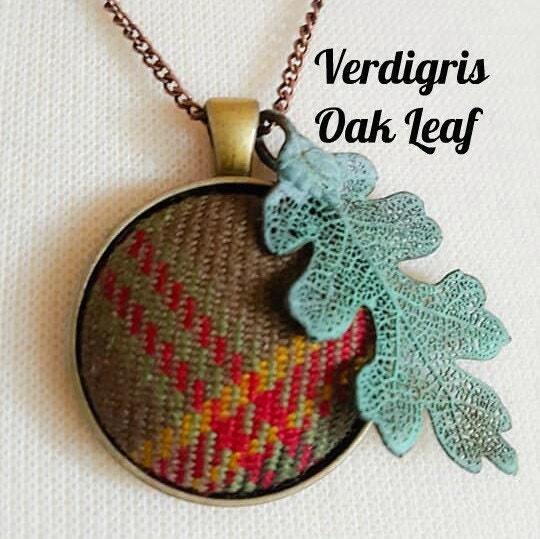 These unusual leaves are handmade in Scotland by Two Skies Scotland. 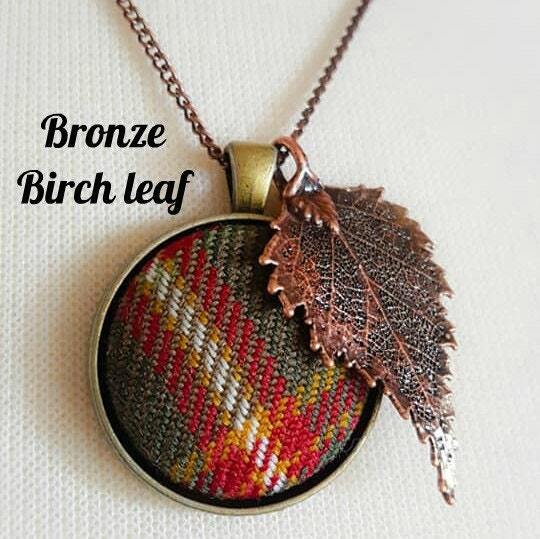 Completed with a 16 inch coloured brass chain. 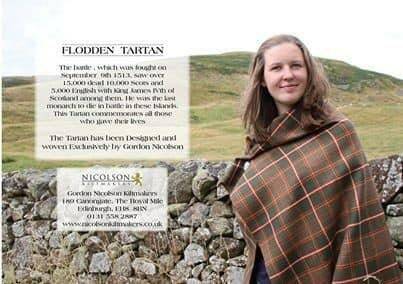 The Flodden Tartan commemorates those who fought, those who died on both Scottish and English sides of the battle in 1513, as well as acknowledging the far-reaching effects of the battle for the generations who followed. 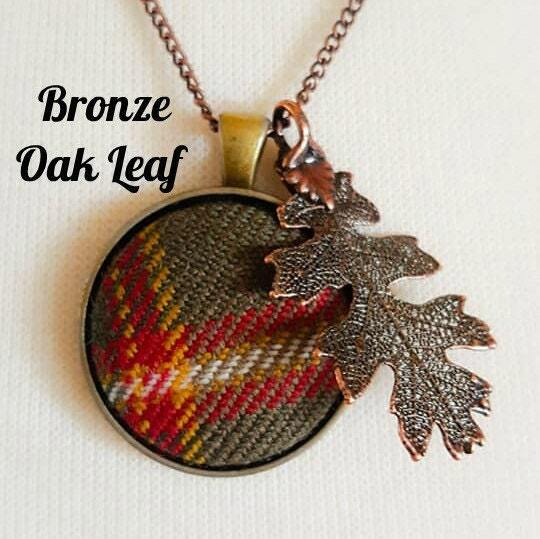 Grey & Brown - represent the ground they fought for and where those defeated still lie. 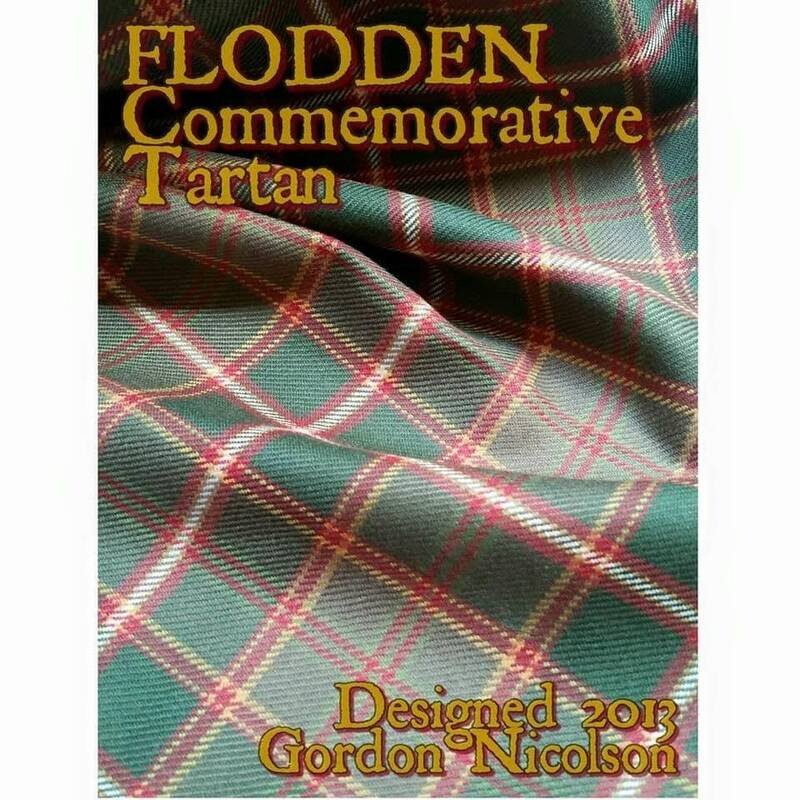 Designed by Gordon Nicolson to commemorate the 500th anniversary of the Battle of Flodden in 2013. 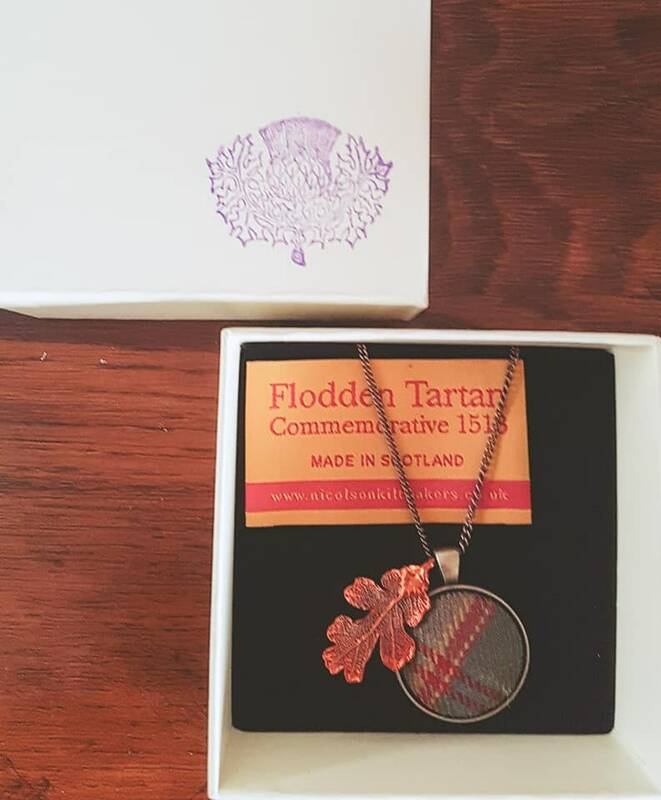 The Flowers of the Forest is a term often used to refer to those men who fell at Flodden. 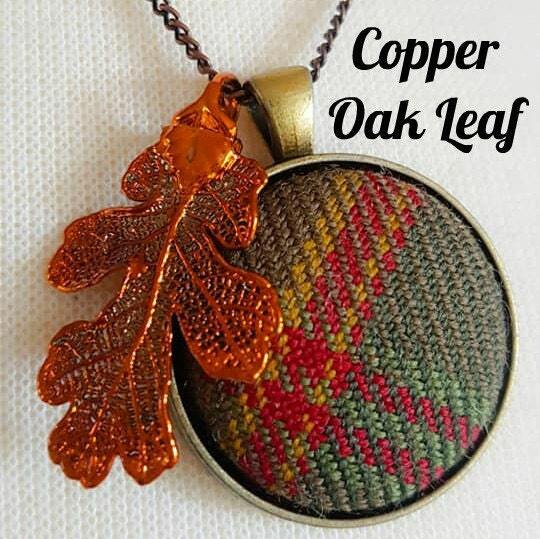 The mournful Folk tune of the same name is a lament connected to Armistace and Military Remembrances, to this day.